Win a digital copy of “Snow White and the Seven Dwarfs”! If you love animation like I do, there are certain movies that stand out in history as cornerstones of the art form. Disney’s “Snow White and the Seven Dwarfs” is in that company–the 1937 film being the first full-length cel-animated feature from Walt’s studios. It has the distinction of being ranked #34 on the AFI’s 100 Greatest Films of All Time, and it’s even won a special Academy Award. I can’t count the number of times I’ve seen it (both with and without my kids). And so, I got a nice little jolt when some pixie dust landed in my inbox and I was offered the opportunity to help Disney celebrate the home release of the first Blu-Ray combo pack for “Snow White and the Seven Dwarfs” — hitting store shelves today (Tuesday, February 2nd). Want to get your own digital copy? If you don’t yet have Disney Movies Anywhere, now is the time to jump on this bandwagon (since that’s how the winners will access their copies of the movie). I’m a fan and use it every time I travel; it turns my iPad Mini into my own portable Disney & Marvel movie theatre! I specifically love that I can use it offline, so I’m not hampered by unreliable wifi. To enter the drawing, just use the Rafflecopter below. Three winners will each receive a Disney Movies Anywhere code for “Snow White and the Seven Dwarfs”! General rules: follow the rules and everybody gets along nicely. You earn entries based on your participation via the Rafflecopter widget, and this giveaway runs from 12:00am ET on Tuesday, February 2, 2016 until 11:59pm ET on Friday, February 5, 2016. Only valid entries received during that timeframe will be considered legitimate. Anyone who commits fraud or tries to screw with the system, game the system, or otherwise not play nicely will be removed from consideration. Check “Wheaton’s 1st Law” if you want to understand where I’m coming from, folks. Three winners will be selected and each will receive a code, supplied by Disney, which will allow them to download “Snow White and the Seven Dwarfs” via Disney Movies Anywhere. Neither this blog nor Disney is responsible for providing anyone with another platform or app with which to view the movie. If you do not have a Disney account to login to Disney Movies Anywhere, now is a really good time to set one up, as one will be required in order to access the movie. Please check the Disney Movies Anywhere website if you have any questions about supported devices and operating systems. Winners will be notified by email within 1 week of selection. This blog is sponsoring this giveaway, which was kindly donated by the folks at Disney. I did not receive anything from Disney in exchange for hosting this giveaway other than a WHOO HOO THANKS SO MUCH email. I’m nice like that. This entry was posted in giveaways and tagged disney movies anywhere, giveaways, snow white and the seven dwarfs by crunchymetromom. Bookmark the permalink. How did I not know about Disney Movies Anywhere? I have no idea. It’s fantastic. When you get the combo packs of any Disney movie (incl Marvel), just put the code into your account to add the movie to your library. You can then download it to your local DMA on your iPad or other supported device. It’s been awesome for long haul flights when I just DON’T WANNA DEAL with $5 to see a sliced and diced movie. My favorite animated movie is “Pom Poko”: A community of magical shape shifting raccoon dogs desperately struggle to prevent their forest home from being destroyed by urban development. My favorite animated movies are “The Lion King” and “Snow White and the Seven Dwarfs”. I still own my Exclusive Deluxe Video Editions from when they came out on VHS in the ’90s. 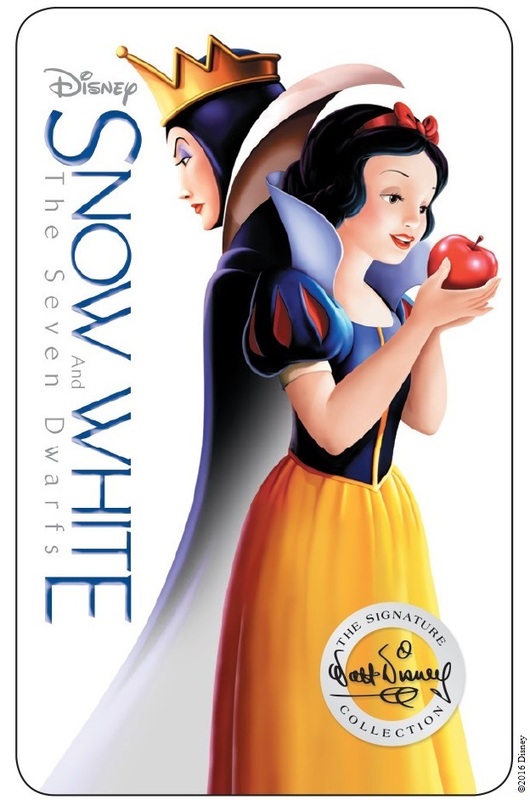 I would love to own “Snow White” digitally! I’ve been dying to add it to my collection! Thank you for the opportunity! My favorite animated movie is 101 Dalmatians. Thanks for the giveaway. I hope that I win. My favorite animated movie is Who Framed Roger Rabbit?